On Wednesday, February 13, City Arts Nashua representatives and Nashua mural artist Barbara Andrews will be at the TD Bank, Greater Nashua Chamber of Commerce’s Expo at the Crowne Plaza Hotel, from 5:30 to 7:00 pm, for the fundraising kickoff for “Vivian’s Dream,” a historic, 35 x 45 foot mural on the wall behind TD Bank parking lot on the corner of Main and West Pearl Street. 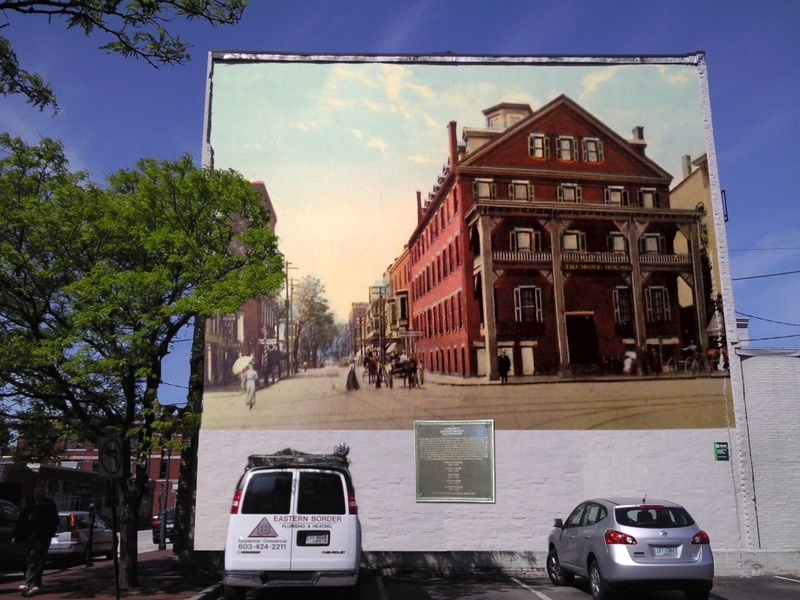 The massive mural, to be painted by Andrews, depicts a view down West Pearl Street in 1909 with the Tremont Hotel in the foreground, which used to sit at the present location of TD Bank. Learn more and how you can get involved in making Vivian’s Dream a reality by clicking on MURAL PROJECT above. Read about it in the Nashua Telegraph. ArtWalk 2013: Save the Date!